DETROIT -- Hayes Lemmerz International Inc. will be acquired by Brazilian wheel and chassis supplier Iochpe-Maxion SA for $725 million. Iochpe-Maxion will pay $702 million for privately held Hayes Lemmerz and assume $23 million in debt. The Brazilian company has "a strategic, long-term interest in the global automotive and commercial-vehicle industries," Iochpe-Maxion CEO Dan Ioschpe said on Thursday. "One of our principal strategies is to sustainably grow our core business internationally. "This transaction will position us well to partner with customers to offer technologically advanced products and outstanding services to meet their needs in every major geographic region for years to come." 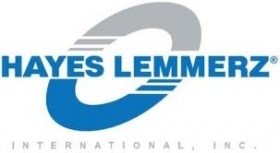 Hayes Lemmerz is based in suburban Detroit, employs 6,100 and has 17 plants around the globe with a capacity to make 63.4 million wheels a year. The company generated global revenue of $1.5 billion in 2010, up from $1.3 billion in 2009, according to the Automotive News Data Center. European customers accounted for 53 percent of the wheel maker's 2010 sales, with North America customers representing 22 percent of sales. The company reported net income of $39.3 million on revenue of $890.5 million during the six months ended July 31, 2011. The deal is expected to close in the first half of 2012. "This is a transformational acquisition, as it could more than double Iochpe's size while accelerating the company's international expansion plan," Daniel Gewehr, an analyst at Banco Santander SA, wrote in a note to clients. "The incorporation of Hayes Lemmerz could generate obvious synergies." Late last year, reports began circulating that Hayes Lemmerz, the world's largest wheelmaker, was in discussions with financial advisers regarding strategic options, including a sale of the company. Hayes emerged from Chapter 11 bankruptcy in December 2009 after more than seven months under court protection. The company was able to cut debt by $720 million to $240 million and reduce health care and pension costs for retirees in the U.S. to $75 million from more than $250 million. Brazil, South America's largest economy, saw 7.5 percent growth in its gross domestic product in 2010, led by a growing manufacturing base. Iochpe-Maxion generated revenue of $1.2 billion in 2010 and net income of $89.9 million. In the second quarter of this year, Iochpe-Maxion is seeing continual growth, generating revenue of $380 million and net income of $28.9 million.